Published: March 20, 2019 10:13 Mythily Ramachandran, Special to tabloid! Cinematographer-turned-director Chezhiyan’s debut film ‘To-Let’ is a realistic portrayal of the predicament of a family of three who go house hunting after their landlady issues them a month’s notice to vacate. Winner of 32 awards including the Indian National Award for ‘Best Tamil Film’ last year, ‘To-Let’ is marked with evocative moments, eloquent visuals and standout performances by the lead cast. At the film’s outset, we meet this family of three: Ilango (Santosh Sreeram), Amudha (Sheela Rajkumar) and Siddharth (child actor Dharun), who have returned home after an evening at the beach. Amudha quickly changes into her home gown, tunes into the radio and gets dinner ready. Ilango also changes and clears the clogged Indian-style toilet. Siddharth, fondly called Siddhu, baits his father into a game. The picture of contentment inside this dimly-lit ordinary house, with walls marked by the child’s crayon art, is a beautiful portrait — not easily forgotten. Life looks good until Amudha is summoned upstairs by the landlady. When she returns home seething with anger, it finds its outlet on Ilango, whom she had asked to keep a watch on her cooking; Ilango has left the dosa to burn on the stove. We soon learn that the landlady, a rude woman who treats Amudha shabbily, has asked them to vacate. Ilango, an aspiring director, is yet to make his first film. He works as a writer in an ad company. It’s tough making ends meet. Amudha, who cautiously manages household accounts, suggests they go house hunting on their own instead of relying on a broker. They can cut down the broker’s fees. Every morning the family sets out on Ilango’s rickety scooter. Thus begins an ordeal of meeting house owners, some questioning them about their religion, some preferring ‘only vegetarians’ and if everything else is good, the quoted rent exceeds their budget. 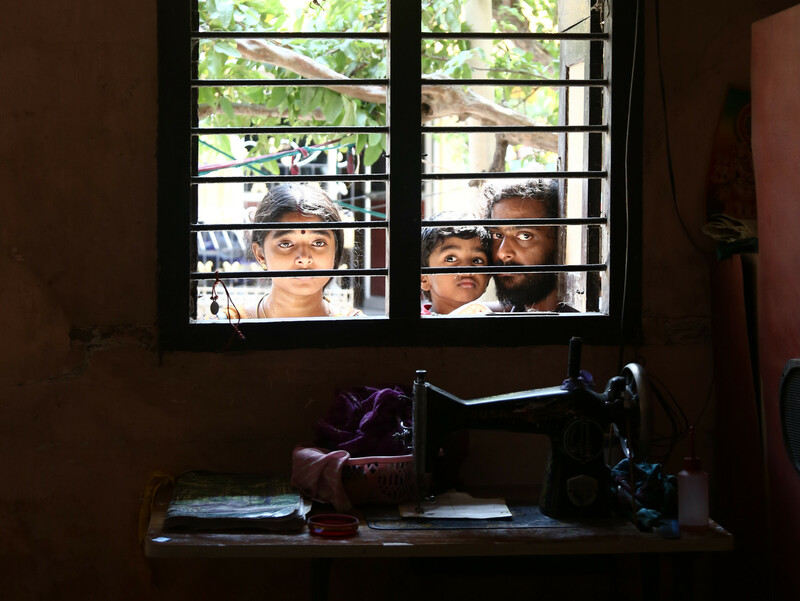 Tiny details and poignant moments enhance Chezhiyan’s narrative and through his telling frames, shot often in natural light, he has you invested in the lives of Ilango and Amudha. You feel their pain when the landlady without prior notice brings in prospective tenants disregarding their privacy; you feel sorry for Amudha when she describes her dream home; you are relieved when they finally find a suitable house; and you laugh with them when Dhruv asks his parents to join in his game of ‘house hunting,’ where he plays landlord. Chezhiyan proved that a story can be told sincerely without the trappings of cinematic frills and the tropes of commercial cinema. Lead actors Sreeram and Rajkumar share a lovely chemistry as Ilango and Amudha, bonding over intimate moments with an Ilayaraja song in the background. Sreeram, an accidental actor who assisted Chezhiyan for 10 years as cameraman, reveals immense potential. Sheela, a stage actor, slips into Amudha’s shoes with great ease. Child actor Dharun is a natural, his Siddhu is adorable. ‘To-Let’ is a film that speaks from the heart. If finding producers for his debut film was the major roadblock, director Chezhiyan’s next gets an easy start with an international production house from Paris. Impressed with ‘To-Let’ a French producer (details will soon be revealed) approached Chezhiyan. “He wondered why I had not sent my film to Cannes,” says Chezhiyan who will begin filming in Paris soon. 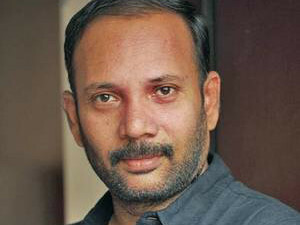 Chezhiyan remembers that producers despite liking the story of ‘To-Let’ did not want to take a chance with a film that had no star, nor music and did not fit into the regular mould of a commercial film.